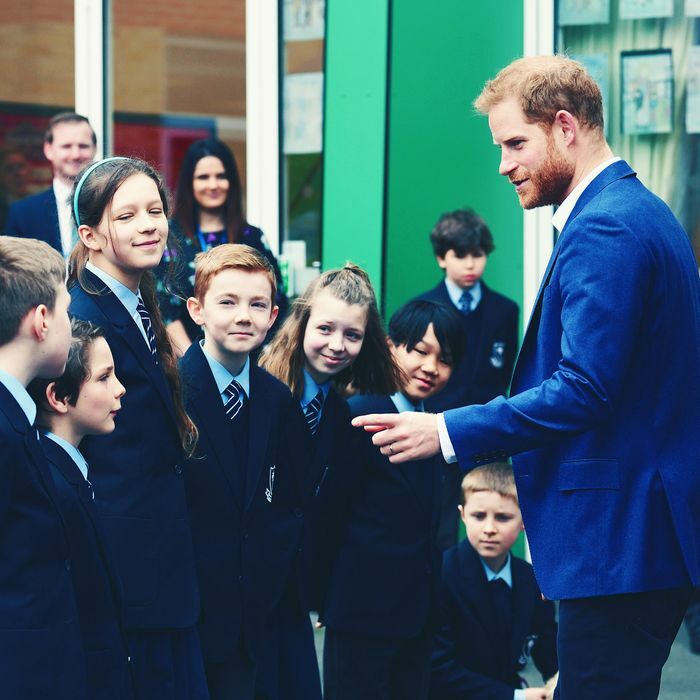 In the sweat of thy face shalt thou eat bread, till thou return unto the ground; for out of it wast thou taken: for dust thou art, and unto dust shalt thou return; for thou art burnt by this 4-year-old boy at St. Vincent’s Catholic Primary School, as thou art Prince Harry, Duke of Sussex. Amen. On Wednesday Prince Harry visited St. Vincent’s Catholic Primary School in Acton, London, to plant a tree. The act was part of an environmental forest-preserving initiative called Queen’s Commonwealth Canopy; these are the sorts of activities that make up a royal’s daily schedule and you have to wonder how they truly feel about it, not to say the environmental initiative isn’t important. It is. Yes, it was there, at the school, where a child burnt Prince Harry to a crisp. 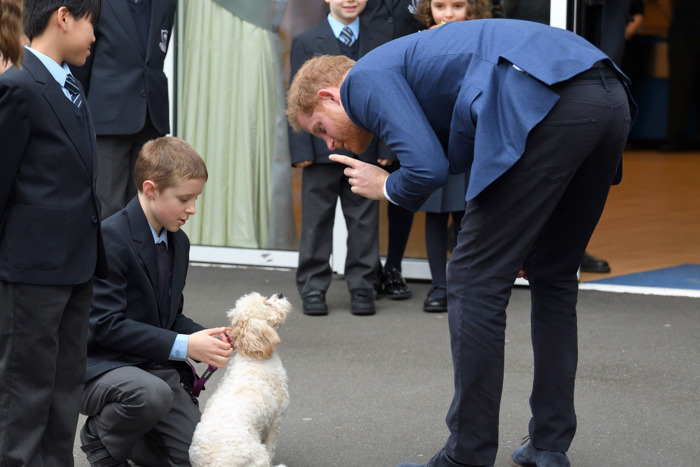 Prince Harry also met Winnie, the headteacher’s dog!